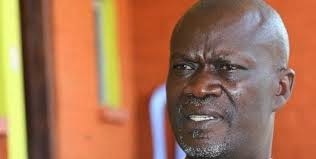 The director of communications in the office of the Siaya governor Cornel Rasanga is a man under siege since his appointment after the governor disowned him. Kenneth Ogosia, a renowned veteran journalist has since his appointment a year ago, has never been able to exercise his mandate following perceived differences with Rasanga. Rasanga whose wife is the Kenya News Agency, Siaya county bureau chief has openly frustrated Ogosia’s efforts to settle and discharge his duties as stipulated by ensuring that no office is set aside for communications. Investigations by Weekly Citizen revealed that Rozilla Rasanga was about to report to Mombasa as the regional bureau chief before the abrupt change of events that saw her headed to Siaya immediately the husband was announced the county governor. The governor is reported to have literally chased Ogosia in the full glare of the public including investors who had paid a courtesy call to Rasanga’s office. It is said Rasanga wanted Dave Opiyo who is currently working with the Nation Media Group as his director of communications even though Ogosia beat him to emerge second during the interviews that was published in the local dailies. Ogosia appeared before the Siaya county board chaired by former Gem MP Joe Donde among other panelists where he was engaged in a gruesome interview before beating other three contestants. Since then, he has been making technical appearance back and forth at the governor’s office precincts sometimes sitting under a tree waiting for an assignment. Little has been done to rectify the situation which is currently sending shivers in the spines of many who have expressed interest for the position. Dave Opiyo once made a dramatic visit to the governor’s office to asses the situation but left unceremoniously after the governor demanded that he resigns from his Nation job immediately without obtaining an official appointment letter which Ogosia has in his possession from the public service board. Opiyo claims that Rasanga surprised him by suggesting that he starts working immediately as his case will be sorted out “kienyeji”, something that did not go down well with him. Opiyo has since returned to his previous work station as Rasanga is reportedly sourcing for the services of television journalist Bonny Odinga. Following the stalemate, the communication unit which is key to any functional unit has remained in the dark with his speeches being drafted by the chief of staff Alois Obare despite the fact that he has no journalism background.